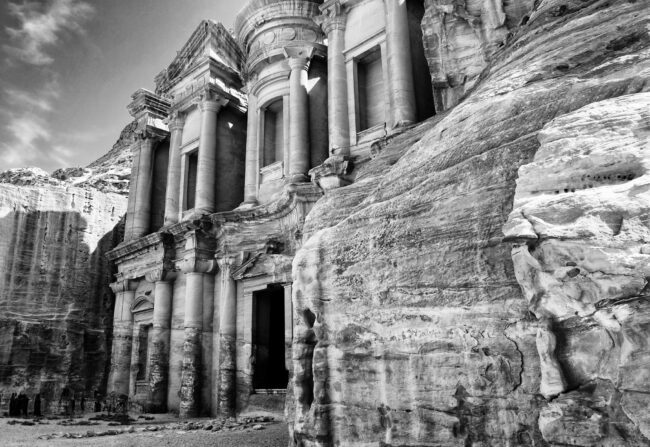 Directions: There are a few possible ways to get to Petra Ruins in Jordan. If you travel from Israel, you must cross the border in Eilat (Israel) and Aqaba (Jordan). Then you might go directly to Petra village or Wadi Musa village and you may stay almost in front of the entrance to Petra Treasury. However, I highly recommend staying at Beduin Village that is 5 minutes driving from the entrance. 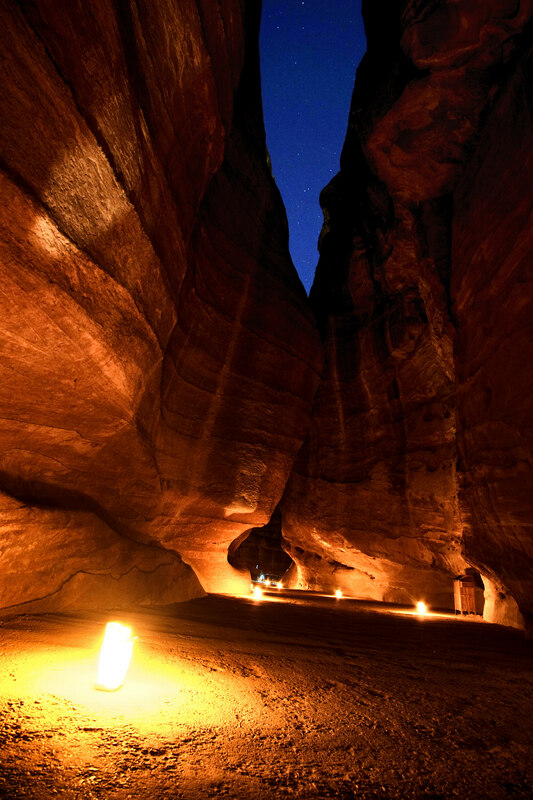 If you use this location, you are also in the vicinity of "Little Petra" ruins, which are often missed by tourists. On the other hand, while driving to Petra main entrance you may stop by at a great vantage point looking at Petra valley and canyons, which is recommended at a sunset. 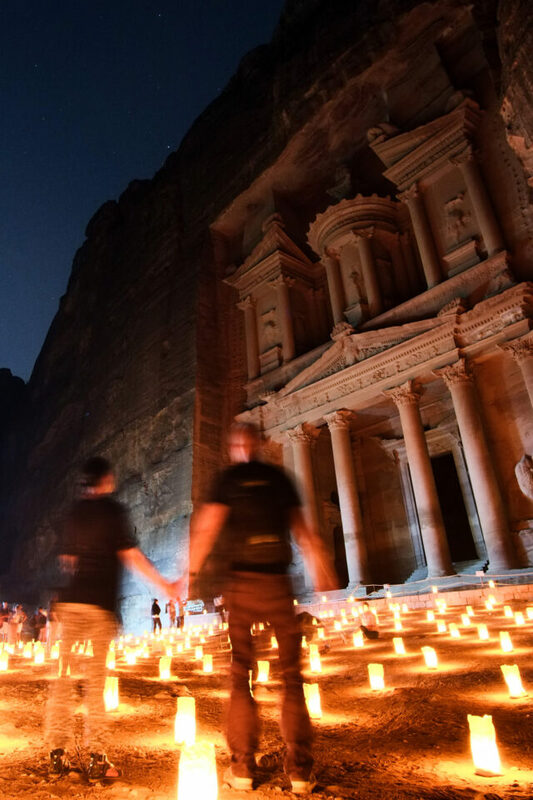 There are several trips and adventures one must experience while visiting Petra. Firstly, I highly recommend going for “Petra by night” that starts at 8:30 pm and finishes at 10:30 pm on select days of the week. 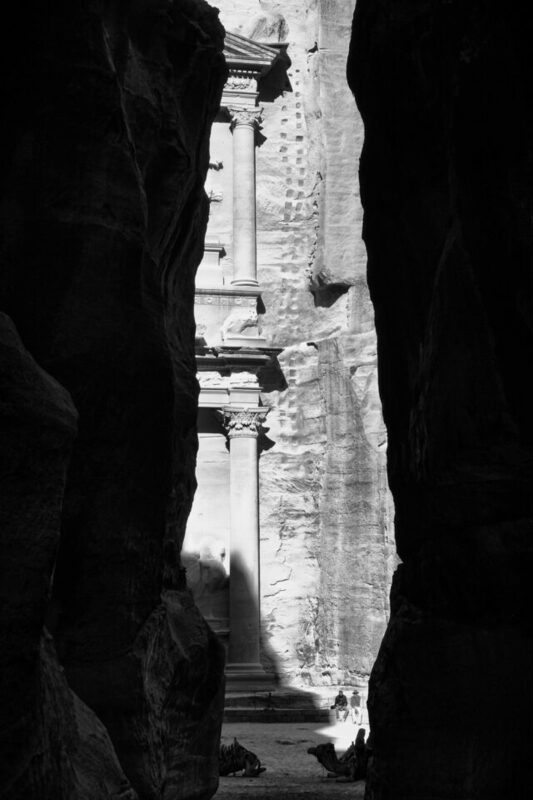 It is a guided tour to Petra Treasury (one of the new 7 wonders) through a rocky canyon. I would suggest going always at the forefront of the entire trip, so as you may sit in the first row in front of the treasury. It is also worth seating at the right side of the treasury, so that you can simultaneously capture the main building and the sky full of stars. I only took a small tripod but now I would’ve taken a small and a large one. Tripods are generally allowed and necessary for this trip. I used only one wide angle (12mm on APS-C) lens which was here sufficient for my needs and original thoughts. I also overexposed photos a bit according to ETTR technique and I was reaching exposure times of 20 seconds. Such an exposure time provided nicely diffused candle lights in the ground and visible stars. Try shooting as much of the treasury as you can in the beginning of the show. After 10 minutes they switch on strong sidelights that cause many problems with exposure and white balance. During the day you may enter Petra ruins at 7 am and this is essentially what one should do. You may still get some nice morning light before it gets overly strong. Petra ruins are closed at 6 PM and around that time it is rather crowded, so early morning is a must. It is much nicer if it’s cloudy for well dispersed and diffused light. In such conditions, you may admire amazingly colorful sandstones in which temples of Petra were sculpted. 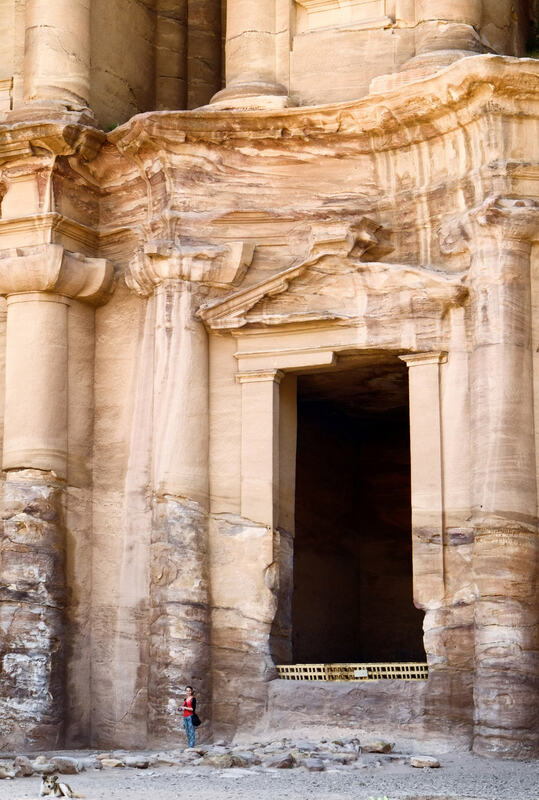 In addition, you must enter Petra ruins from the backdoor and see also Little Petra, but generally it is a must see once in a lifetime experience.